Police have launched a new initiative aimed at tightening up the law around dog attacks on livestock. Announcing the new measures at an All Party Parliamentary Group for Animal Welfare (APGAW) meeting in the House of Lords today (Tuesday, March 21) five forces (North Yorkshire, Sussex, North Wales, Hertfordshire and Devon and Cornwall) pledged to look at how livestock attacks are reported, recorded and handled, to assess whether the law needs to be changed or updated. Injury to livestock can cost farmers and livestock owners thousands of pounds and costs the industry millions of pounds each year, but police and countryside campaigners are concerned there may be gaps in the current laws that make it more difficult to deal with the issue effectively. Farmers Guardian was also invited to speak at the APGAW event and updated MPs on its Take the Lead campaign. It came as FG released new figures which showed dog attacks on livestock had increased 93 per cent since 2011. 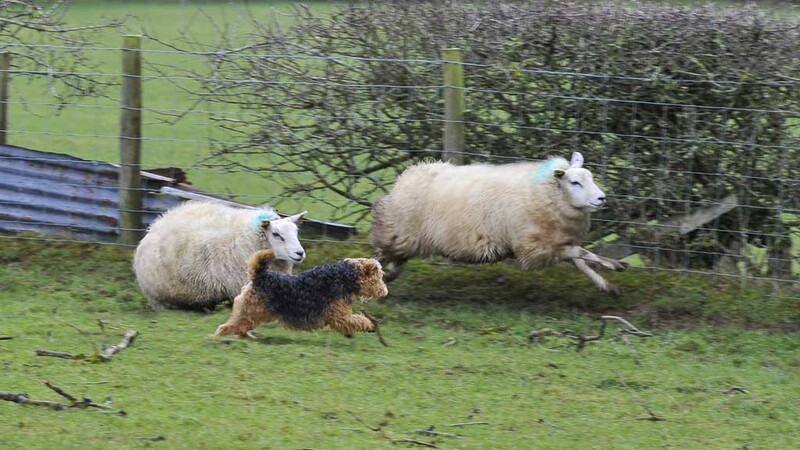 With lambing in full swing and farmers reporting incidents on a weekly basis, the event organised by Defra’s Animal Health and Welfare Board for England (AHWBE) heard how police, farming, rural and dog organisations were working together nationally. Terena Plowright from SheepWatch UK said: “Hundreds of frustrated farmers from across the UK sent in reports about dog attacks to SheepWatch. This has prompted the police to get involved and investigate the number of sheep worrying incidents that pass through their system. MPs heard the new initiative will last approximately six months with an initial report expected in September. Meanwhile, police are calling for dog owners to be responsible when out in the countryside and keep their pets on a lead around livestock. Farmers are urged to report any incident of dog worrying by calling the police on 101.